In 2007 our family moved to the foothills of the Pyrenees in France to embark on an adventure that would change our lives forever. With a passion for animals, human behaviour, and backgrounds in corporate development and counselling, we combined all our animal and training knowledge and interaction to embark on creating workable, easy to understand and interprate training methodologies to be used across species. Over the years we have welcomed animal owners, qualified veterinarians, zoologists, students and those working within the animal world to experience and help modify our training approach and understanding of methods and techniques. From Explorers to film crews, specialised vets to students, famous musicians to tv personalities and journalists, we've had them all, as well as random camels with a need to be trained, and impossible llamas who couldn't be caught - the list is endless, but through our interactions, we have compiled an invaluable resource of information and knowledge that we call "Animal Transaction"
We welcome people to our animal park to share our lives, our methodologies and our animal experiences, and most importantly, to share our training system with the world. Over the years we have spent many fun hours unravelling and dissecting methodolgies and schools of thought, we have analysed, questioned and debated the animal training world. Our dining table under the tree in the garden has been covered in reams of paper with processes and models, working rationale and mind maps. The table has hosted debates on Thorndike and Skinner and seen countless hours of conversation debating the mysteries of animal and human transactions. Our table has witnessed the development and creatation of theories and methodologies, it has served local French dishes over conversations of Operant Conditioning and Maslow, it has served fine wines over Kolb and Kubler Ross, and simple fresh baguettes with organic home grown fillings over Maltz. 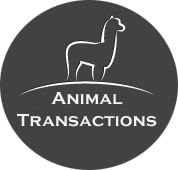 Be assured - we have set aside the complexities of transactional theories to create an easy to understand training concept that is simply Animal Transaction, an easily applied working rational available to everyone everywhere! We don't make it complicated... because it doesn't need to be! Our working rationale can be applied across species for a variety of animal interactions, so whether you're new to animal training and handling, a competative equine enthusiast or a qualified vet, you will learn on a level that works for you.